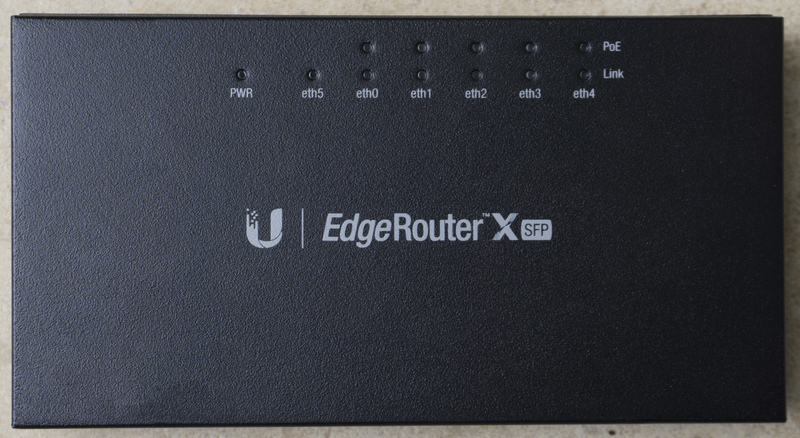 I recently got a Ubiquiti EdgeRouter™ X SFP which has a really impressive feature set (quite close to “Enterprise routers” by Cisco or Juniper). But what is under the hood of such a small device? The processor is coverd by a heat sink glued to the package. I did not take this off, because I actually plan to still use the router for a while. MXIC 25L1608E -> probably an EEPROM? There are probably two switched power supplies on the board (at the two inductor coils), but I could not identify the model or brand of the controller ICs. 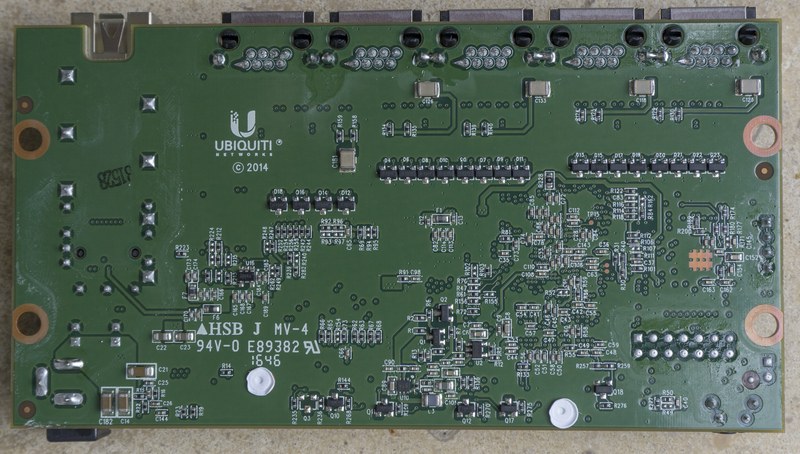 The back is rather unspectacular: a lot of discrete SMD components (mostly capacitors, resistors and transistors). This is a very basic example. You should add some checks, whether the address could actually be resovled, etc. for use in production. All parts are soldered on the top of the PCB. 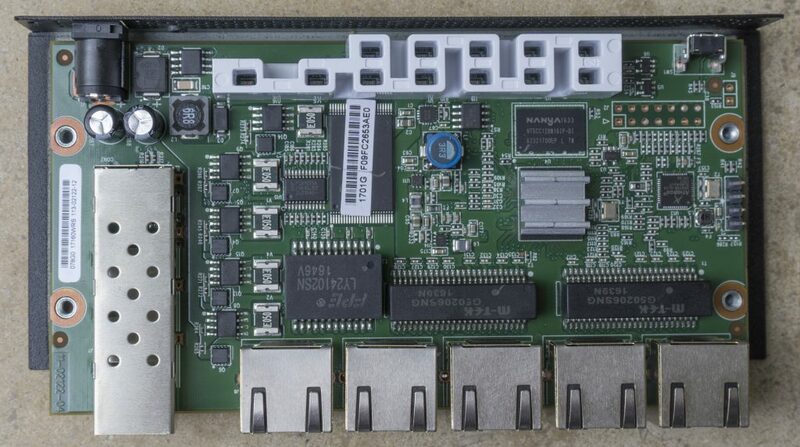 One interesting finding from this teardown is that the device features a full 3-port ethernet switch. 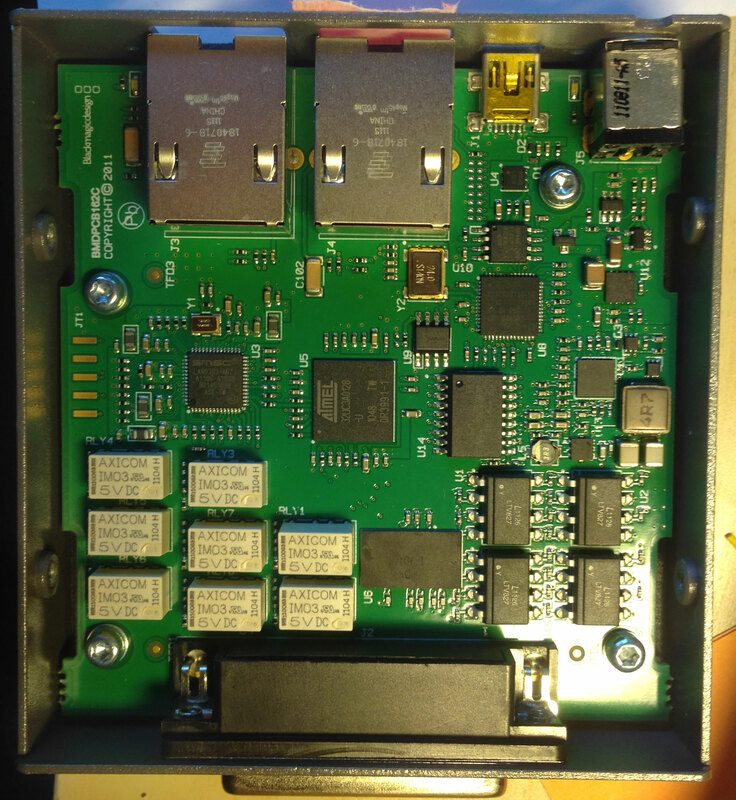 It is therefore safe to use the second ethernet port to connect additional devices without the risk of collisions on L1. The WinForms ListView control fires double click events only if the user clicked on a selected item. This is also documented on the MSDN site: “The mouse pointer must be over a child object (TreeNode or ListViewItem).” (Control.DoubleClick Event). Sometimes it is useful to perform actions on double click events for empty ListView controls, too. This custom control checks whether a double click event was triggered for double clicks of the left mouse button on the control. If this is not the case, it triggers a double click event “manually”. One thing Martin Fowler states in his article about Evolutionary Database Design is that every developer needs to have its own database instance. For .NET Windows client projects you can simply change the ConnectionStrings configuration in the App.config file inside the bin directory. But for web/ASP.NET projects this is not possible, because the root directory for debugging the project is the project directory itself (being under source control). I.e. you would have to checkout the web.config file from source control and edit it. This itself is not such a problem, but you always have to watch out to not check the changed web.config file into source control. A solution to make this work is to split the web.config configuration into multiple files and extend the build process by editing the project file of the web project to create a configuration file which is not in source control and therefore can be customized per developer. This extends the build process with a new step which checks whether the file “connectionStrings.config” exists and (if not) copies the file “connectionStrings.default.config” to “connectionStrings.config“. When you want to change a ConnectionString in your local development environment you can simply edit the file “connectionStrings.config” and adjust it to your environment. An outsourced ConnectionString configuration not under source control. A default ConnectionString configuration under source control. A build step ensuring a ConnectionString configuration exists at the expected path. (Optional) A web.config transformation for cleaning everything up on publishing/deploying the project. Have you ever tried to debug a .NET Windows Service during development? Of course you can attach a debugger to the service process using Debug –> Attach to Process*. But it is practically impossible to debug the OnStart method this way. * Note: When the service runs under the SYSTEM user account you need to run Visual Studio “as Administrator” to see the service process in the “Attach to Process” window or attach a debugger instance to it. I am playing with Graphite and StatsD with all the different possibilities to record and transmit metrics lately. My recent addition to the “graphite-client” project is a TSQL CLR procedure for sending stats to Graphite directly from within SQL server: https://github.com/peschuster/graphite-client/tree/master/source/Graphite.TSql. Only restriction is that it requires a “TRUSTWORTHY” database, clr code execution enabled and import of a custom DLL (Graphite.TSql.dll). A typical scenario for sending stats directly from within SQL Server is e.g. logging of backup or maintenance tasks for being able to put it in correlation with other metrics like cache-hit-ratio or memory usage. 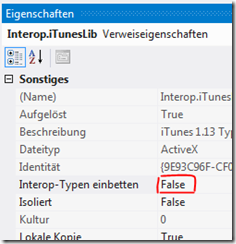 Interop type ‘iTunesAppClass’ cannot be embedded. Go to the Solution Explorer. Right click on References –> iTunesLib and hit Properties. Set “Embed Interop Types” to False. This solves the described error and you can go on automating iTunes.